This book is aimed at engineering, physics, mathematics and science students in School, College and University. 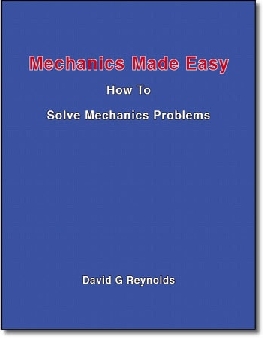 The book features over 220 mechanics problems and fully-worked solutions which are illustrated by over 400 diagrams. The book is designed to supplement standard introductory-level school, college and university texts on mechanics. David Reynolds is a Chartered Engineer and holds a First Class Honours Degree in Engineering, BA in Mathematics, and MBA. He currently lives in Ireland.